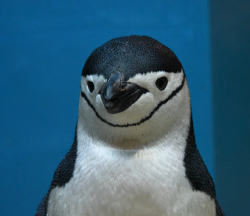 There are 18 types of penguins around the world and you can see 9 types, 180 penguins here in Nagasaki Penguin Aquarium. More than half of them were born in Nagasaki. Each of them has different birthplace and character, but they are getting along together. King penguin has a long bill and both sides of the mandible (lower bill) are red. It has yellow feather from neck to breast. Gentle and gentle character. 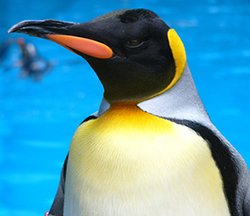 King penguin is the largest penguin in Nagasaki Penguin Aquarium. 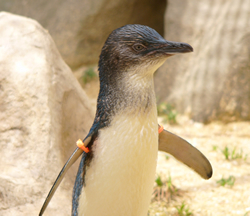 The world-longest living penguin in captivity named "Gin-Kichi" was also King penguin. 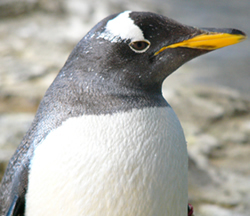 Gentoo penguin has white stripe from over its eyes to the top of its head, with white rings around its eyes. It can also be recognized by yellow legs. Black lines from a chin to the rear of the ear are like a characteristic. It can also be recognized by pinkness legs. This "Macaroni" doesn't mean food but "fashionable ". Its feature is the stylish yellow feather from over its upper bill to the top of head. Sides of its bill is colored pink. 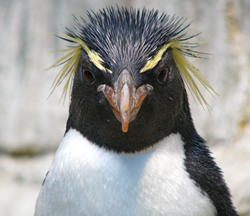 Macaroni penguin resembles Rockhopper penguin, but Macaroni doesn't have eyebrows. As its name suggests, Rockhopper penguin can jump up from the surface of water to rocky coastline. 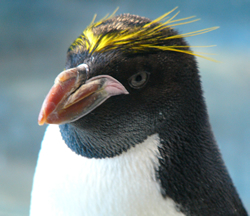 It resembles Macaroni with its crest, but Rockhopper has yellow eyebrows, which form is like a "kanzashi", Japanese hair ornament. Its eyes are red. 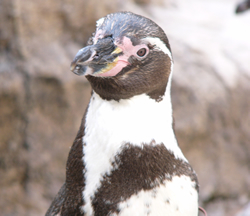 Humboldt Penguin, with one black stripe in its breast and small black spots on its front, is living around Chile and Peru of Latin America. 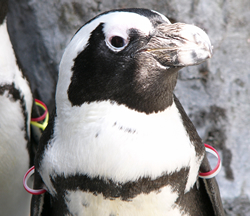 It is listed in and protected by the CITES (Washington Convention) Appendix I.
Jackass penguin is also called as African penguin, living in South Africa, with pure white feather on its front. It is listed in and protected by the CITES (Washington Convention) Appendix II. 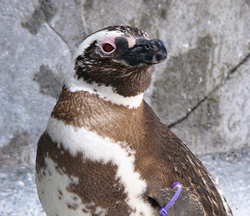 There are two black bands between its neck and breast. Living around Argentine and Chile, Latin America. The smallest penguin in the world. Living around Australia and New Zealand.